Four years into her career as a Virginia probation officer, Jessica Bonometti was summoned to her chief's office and fired for social media postings that portrayed a "security threat group" in a positive light. The threat group, it turned out, was Juggalos — the nickname for fans of her favorite band, the horrorcore hip-hop duo Insane Clown Posse — who had been designated a gang by the FBI five years earlier. Bonometti had liked some posts and photos on Juggalo-related Facebook pages that she said were "pretty innocuous" by fan standards. On her own page, a meme with the catchphrase "Wicked for Life" had caught the attention of higher-ups, her case file shows. "They took my badge and credentials," said Bonometti, a George Mason University graduate who hasn't been able to find a new position since being terminated in March 2016. "I didn't just lose a job. I lost my entire career." This Saturday, Bonometti is headed to the nation's capital to tell her story publicly. The occasion is the first-ever Juggalo March on Washington, organized by Insane Clown Posse's Detroit-based record label, Psychopathic Records. Psychopathic publicist Jason Webber said demonstrators will demand the FBI rescind the 2011 gang report that allegedly exposed law-abiding Juggalos to harassment and discrimination by police, employers and others. "What we hope to get out of it is to get the attention of the entire world and the FBI and other political forces to drive home a simple but powerful message: Juggalos are not a gang. They are a musical subculture and family," Webber said. He said up to 3,000 Juggalos are expected on the National Mall, site of many of the country's most historic civil rights rallies, and the band is slated to cap off the day with a concert. Jared Osburn, 29, just lost his job but is prepared to spend his last $1,000 to get to from Kansas to Washington, even though his Juggalo status hasn't caused any problems for him. "But I don't want to see that day come and I'm sure as heck not going to stand by and let it happen to other people," he said. 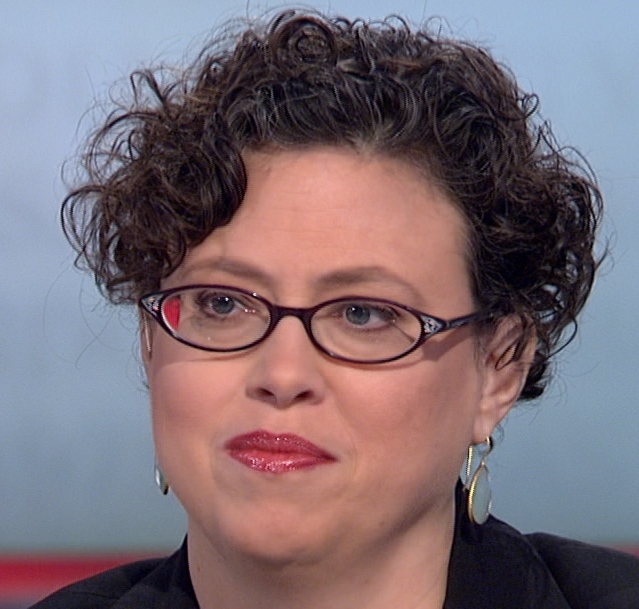 "People who are going to commit crimes are going to commit crimes whether they listen to Justin Bieber or ICP." Solana Patterson-Ramos, 29, a community organizer from Milwaukee who is also attending the rally, seconded the double-standard sentiment. "If this happened to Beyonce, to the Beyhive, people would go crazy," she said. Not all Juggalos are down with the march. In online forums, some questioned whether it was a mere publicity stunt, rolled their eyes at the promotion of one event as a "Gangsta Party," and fretted that protesters would get rowdy or clash with a pro-Trump rally taking place nearby. Aware that any bad behavior would undermine the message, Webber warned fans not to treat the march like the Gathering of Juggalos, an annual festival of clown-faced carousing. "This is a serious public demonstration," he said. "This is not a chance to party and wild out." 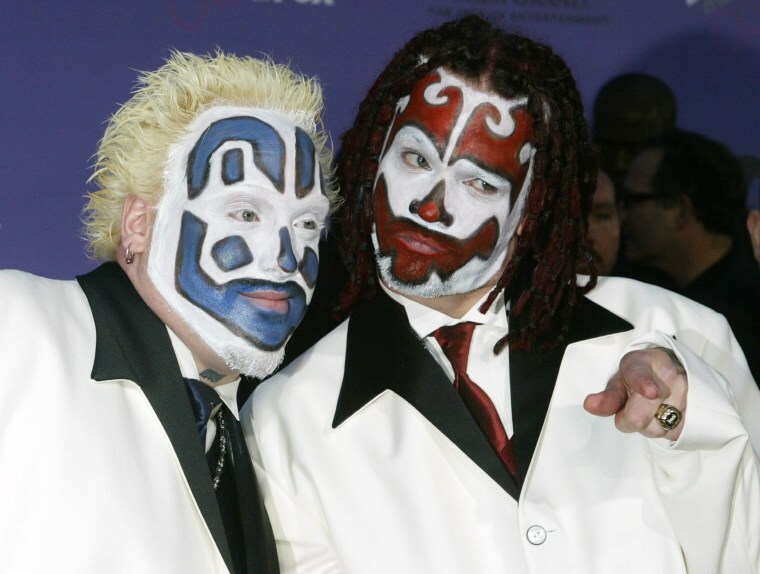 Insane Clown Posse has been wilding out for almost three decades. Founding members Violent J and Shaggy 2 Dope's lyrics — often gory, sometimes silly — are full of violent, misogynistic and anti-police imagery. Juggalos take their name from the title of a song that includes the line: "Got a chopped-off head chilling in my lap." Many wear the social-outcast badge as proudly as they do scary-clown makeup and tattoos of the band logo: a man running with a hatchet. And there's no argument that Juggalos have been involved in hideous crimes. Two are serving life for the 2009 murder of a Pennsylvania man hacked with a meat cleaver. Another was jailed last year for chopping off a woman's pinky and drinking her blood during a ritual. More than a dozen states have identified Juggalo cadres involved in criminal activity, and by 2010 they had been declared a gang in four states. But the real controversy began the following year when an FBI report deemed Juggalos "a loosely organized hybrid gang." While the report noted that "the majority of fans exercise their lifestyles in a peaceful manner," Insane Clown Posse supporters complain it opened the door to profiling by police, military recruiters, and even family court judges. "Calling the Juggalos a gang will justify criminal investigations, drones over concerts, more military equipment for local police, and ominous threats of arrest and prosecution," said Professor John Hagedorn, a gang expert at the University of Illinois-Chicago. The ACLU of Michigan filed a federal lawsuit to force the FBI to disavow the label, and a hearing to determine if the case goes forward will be held next month. "At first, I didn't think it was a case we were going to be interested in, but the more I looked into it, I realized it was really a quintessential civil liberties issue," said the ACLU attorney, Michael Steinberg. "No one disputes the fact there may be certain Juggalos out there engaged in criminal activity, but it’s not because of their support of the music or the affinity with other Juggalos. It's no different than Yankee fans committing crimes with a Yankee hat on." Although the FBI hasn't withdrawn the 2011 language, it also didn't include Juggalos in subsequent gang assessments. In a statement, it said the earlier report was based on information supplied by states and "specifically noted that the Juggalos had been recognized as a gang in only four states." "The FBI’s mission is to protect the American people and uphold the Constitution. We investigate activity which may constitute a federal crime or pose a threat to national security. The FBI cannot initiate an investigation based on an individual’s exercise of their First Amendment rights," it said. That's little solace to Bonometti, who has been looking all over the country for a job but has to disclose on every application that she was fired because of her Juggalo connection. A fan since she was 14, she's drawn to ICP's "shock and awe" raps and embrace of misfits and dismisses graphic lyrics as "dark humor" that no one is supposed to take seriously. She only knows a few other fans so the idea that she was using social media to support a gang struck her as ludicrous. "Ninety-five percent of my Facebook page is Boston terrier puppies," she laughed. Bonometti appealed her firing, but the hearing officer upheld it, even though he concluded she was not a gang member and found it was debatable if Juggalos were a "security threat group." Now she's planning to sue the Virginia Department of Corrections, which did not respond to requests for comment. Sgt. Michelle Vasey of the Arizona Department of Public Safety, who educates police across the country about Juggalos, said it's "unfortunate" when ordinary fans get mistaken for possible gang members. "Does it happen? Sure," she said, recalling a time when an Army recruiter called to ask if he should stop a Juggalo from enlisting. "There are times when it can get convoluted." Nevertheless, Vasey said, Juggalo gangs are a real threat, controlling criminal activity and sowing fear on some Arizona Indian reservations the way Bloods or Crips might run a street corner or housing project. "I don’t think it should be removed," she said of the FBI gang designation. "It’s too many instances where these guys are involved in criminal activities." As for those just in it for the music, "maybe they need to come up with a different name," she suggested.